In a recent article by Science Daily, a promising new method of repealing mosquitos is described. It is known that female mosquitos use various senses to find people to bite. For instance, they rely on body odor, carbon dioxide levels, heat, and sweat. The key gene for human detection is an olfactory coreceptor called Ir8a. Researchers state that without a functional version of the Ir8a gene, mosquitos are much less attracted to people. Scientist Matthew DeGennaro says that removing the gene reduces "host-seeking activity" by approximately 50%. When thinking of creating a stronger mosquito repellent, it would be ideal to create an odor that masks the pathway of the Ir8a gene. Additionally, the same ideology could be used to lure mosquitos into traps. It was discovered that the disruption of the Ir8a gene can be beneficial to humans when DeGennaro's team used CRISPR gene editing technology to edit the specific gene. I think the research done by DeGennaro is promising and may prove to be very helpful in the future. 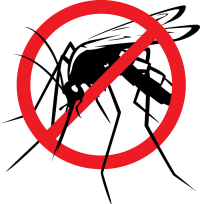 Mosquitos carry many deadly diseases such as Malaria and Zika. The insect is responsible for hundreds of thousands of deaths every year. If a repellent can be developed that significantly reduces the mosquito's affinity towards people, I think it would help many. It is important to continue to develop a solution to the mosquito problem. Labels: " "Gene", "genetics", "malaria", "mosquito"